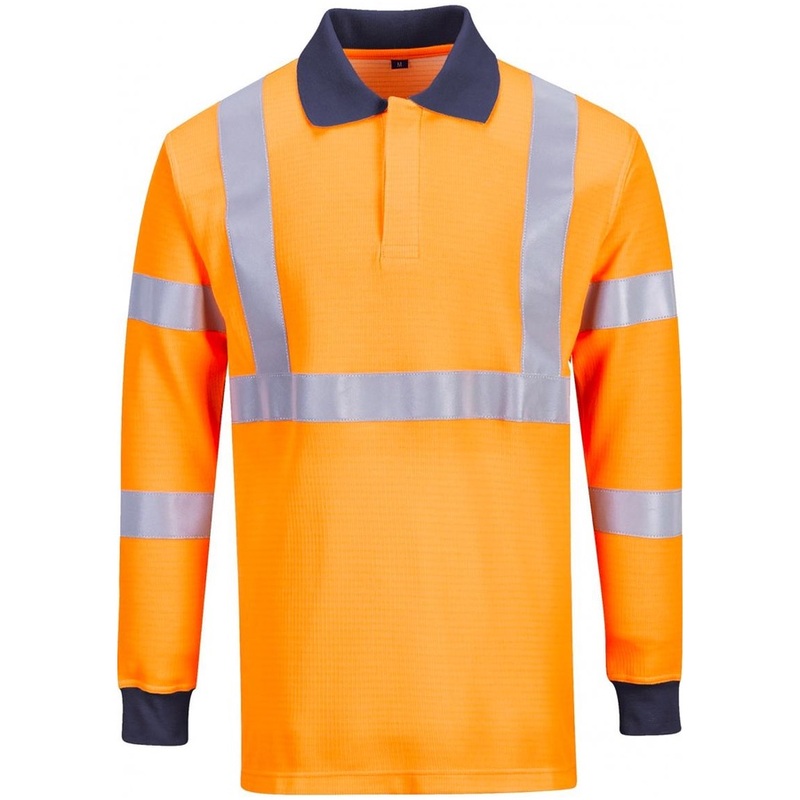 The Portwest FR76 hi vis polo shirt offers superb protection across multiple standards. The lightweight fabric uses a unique blend of fibres which combine to offer optimum protection with excellent breathability and moisture management. Features include contrast navy and rib cuffs for comfort and practicality.